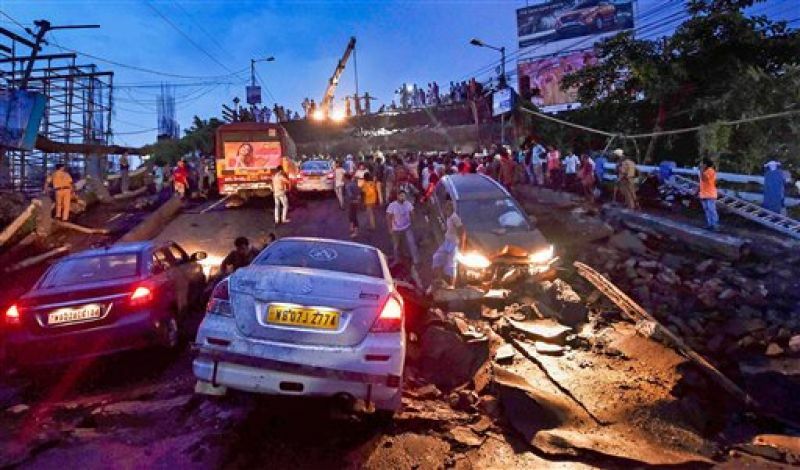 Kolkata: A section of an over 50-year-old bridge on the Diamond Harbour Road in south Kolkata collapsed on Tuesday evening, killing at least one person and injuring 21. Several people are still believed to be trapped, and many vehicles were crushed in the debris. A 20-meter deck of the 450-meter long Majerhat Bridge in the crowded Alipore caved in around 4:45 pm on Tuesday, the city’s third bridge or flyover collapse in five and a half years. 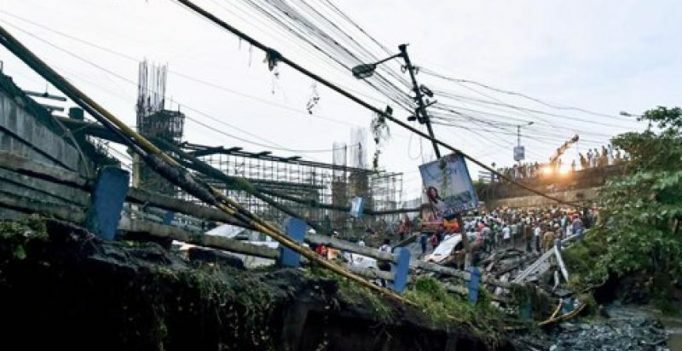 An under construction flyover had collapsed in crowded Burrabazar area, the wholesale business hub of the Kolkata, on March 31, 2016 and had claimed 26 lives. A road bridge had collapsed in Ultadanga area in the northern part of the city on March 4, 2013, but there was no casualty. The bridge constructed in 1965 runs over the Majerhat Railway Station and connects the city centre with the heavily populated Behala, the vast area of the south west suburbs and adjacent South 24 Paraganas district. According to preliminary reports, water seepage through cracks led to corrosion of the underneath girders that gave way; vibrations from Metro Rail construction adjacent to the bridge led to the instability. Some locals alleged the collapse might have been due to the construction of metro railway pillars nearby but this was not immediately confirmed by experts. Rail Vikas Nigam Limited, which is executing construction of the Joka-BBD Bag metro corridor passing through the vicinity of Majherhat Bridge, said there is “no relationship of metro construction” with the incident. Biker Soumen Bag, a resident of Thakurpukur, in his late 20s, who happened to be crossing the bridge spanning the Sealdah-Budge Budge railway tracks and a canal, died after he fell headlong into the wedge as the deck spit into two. Soumen was returning home from College Street in central Kolkata after buying some books when the incident took place, according to the police. Soumen’s was one of the few bikes that fell in this wedge. Fours cars and a minibus suffered the same fate. The injured were rushed to SSKM and CMRI hospitals. 150 fire brigade personnel, 400 police, 60 NDRF personnel are carrying out the rescue operation, Three columns of Army is on a stand-by. The rescue work continued amidst occasional rain as the evening drew to an end and additional lighting arrangements have been made to facilitate the rescue work at night. According to an eyewitness, some people in a minibus and private cars were trapped. West Bengal Chief Minister Mamata Banerjee, who is now in Darjeeling, late on Tuesday said that rescue work was almost over and only a concrete slab remains to be cut to find out whether any person was trapped there. She said there was a hut under the bridge and some labourers engaged in metro rail construction work used to stay. “Had they been there during the time of accident, an unfortunate thing might have happened,” she said. Mamata Banerjee said that thousands of people pass through the area and the government has to probe the accident. “A probe will be done by a committee headed by Chief Secretary Malay De to find out the cause of the collapse. Action will be taken against those whose negligence caused the accident. No one will be spared,” she said. The chief minister also announced a compensation of Rs 5 lakh to the family of the dead and Rs 50,000 each to the injured. Mamata Banerjee said she will visit the site on Wednesday cutting short her tour. Prime Minister Narendra Modi termed the incident as “deeply unfortunate” and hoped for the speedy recovery of the injured. West Bengal Governor Keshari Nath Tripathi, who visited the site, described it as “a big disaster”. “I have come to see the rescue work. It is a big disaster. I heard that maintenance of the bridge is entrusted with the PWD and the railways. 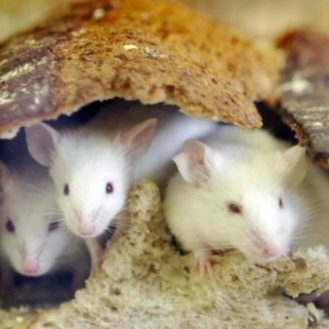 The matter required to be enquired,” he told reporters. NDRF DG Sanjay Kumar said earthmovers are being used for clearing the area. “We have to take into account the safety aspect while clearing the debris”, he said. NDRF personnel have engaged sniffer dogs to trace any person trapped under the debris. The bridge collapse hit Circular Railway services and local train services in Budge Budge-Sealdah line inconveniencing a large number of commuters, an Eastern Railway spokesman said. The local train services were suspended from 4:45 pm, he said. The train services in the Budge Budge-Sealdah section resumed at around 9 pm, an ER spokesman said. 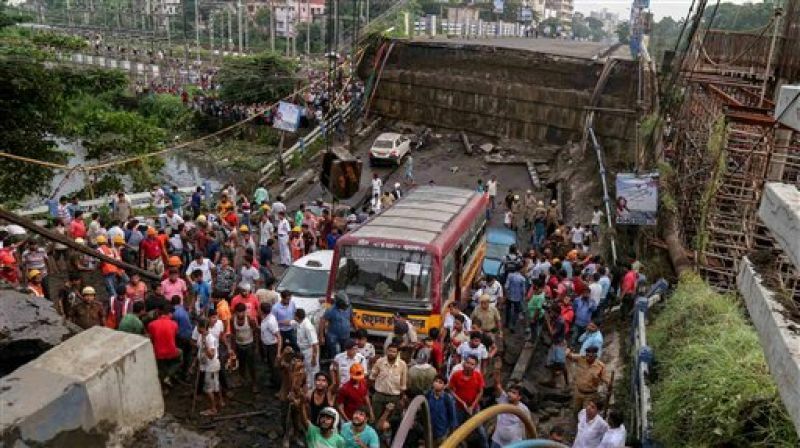 The bridge collapse hit traffic movement to and from vast areas in south-west Kolkata and adjacent South 24 Parganas district during the peak evening hours. Opposition parties blamed the ruling Trinamool Congress government and said its “callousness towards the repair of old bridges” was the main reason for the collapse. “It is really unfortunate that the bridge has collapsed. The state government is solely responsible for it. The issue of repair of the old bridges is not at all in the agenda of TMC government,” senior BJP leader Mukul Roy said. State Congress president Adhir Chowdhury demanded an “answer” from Chief Minister Banerjee and Public Works Department Minister Hakim.